Never be afraid to try out Primark's perfume range, you will be pleasantly surprised how well they have done. 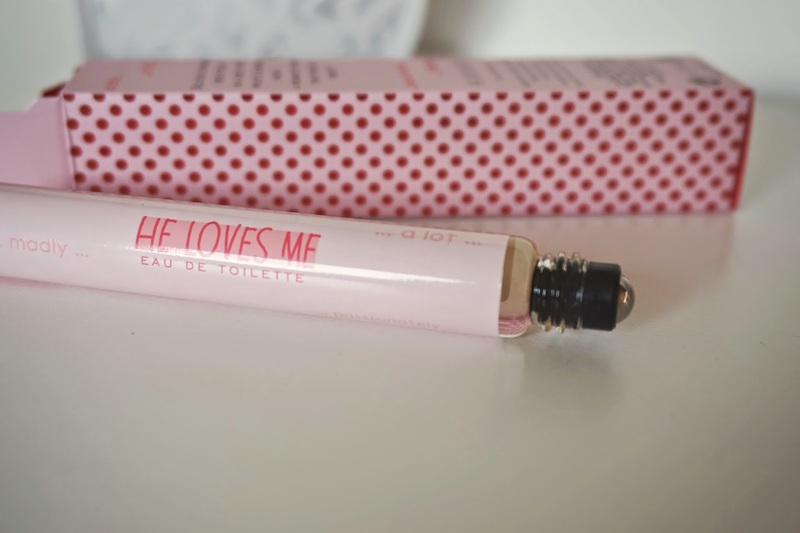 Now having a bigger Primark in my home town there is more choice to choose from and I couldn't resist buying this little beauty at £2 (10ml) which is a rollerball perfume in "He Loves Me" the packaging is really sweet and draws you in. They also stock spray perfumes in this scent which I am very tempted to buy next time. 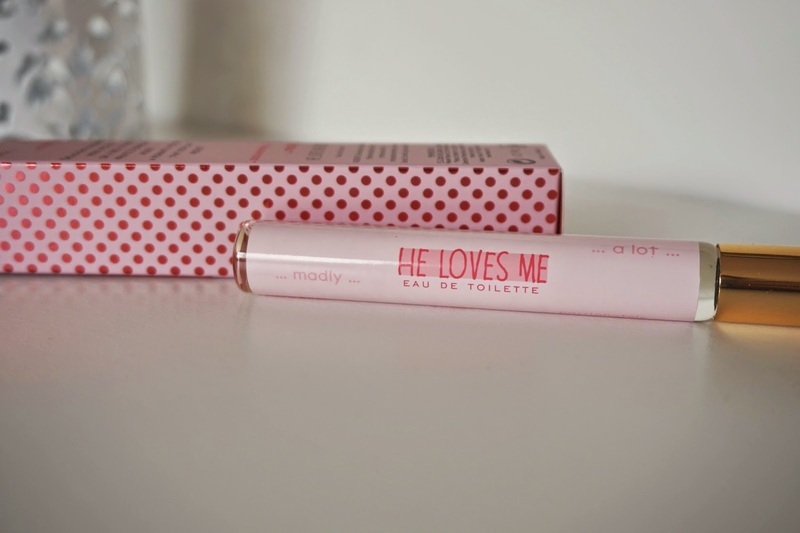 The scent has a sweet, floral and fruity smell, making it divine and it's not to overpowering. The rollerball is perfect for touch ups on the go and this little beauty is small enough to carry around in your handbag daily. Primark's are definitely upping their game in the fashion, makeup and beauty industry and I would recommend giving the little roll on perfume and then decided whether it's for you and the full sized versions are only £6! Have you tried any of the Primark Perfumes? This is so interesting, I was always too afraid to try out Primark perfumes but now I'm thinking I might try one! They're so small it'd be perfect for when I've had a shower after my lunchtime runs for my afternoon at work haha! It's good that for such a small amount of money you can get a decent perfume! I am still pleasantly surprised but I am a little obsessed with Primark's I Must say! 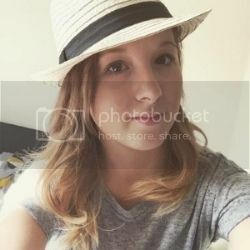 Oo no I haven't tried Zara ones I don't have one in my town maybe when I go on a shopping trip further out I will have a look.